Choose which services you want to sell - whether you want to sell broadband, wireless, IPTV or a combination of multiple services, White Label SIM has a programme to fit dealers of all types & sizes, including international entities looking to offer services in the US. Co-brand with wired networks, use your own branding with wireless networks. Set your own prices for broadband and wireless plans. Create custom wireless plans (may vary by network). You are first point of contact for all subscriber interactions (including monthly payments & support tickets). Customers are 100% yours & have to come to you to pay their bill (whether online or offline), so you make money on each new activation plus the difference between our dealer price and your retail price for ALL bill payments for the life of the account. Point your domain at our servers or let us handle the domain, CDN, DNS & mail for you at no additional charge! To Apply for a Dealer License, please complete all questions and provide required verification / authorization documents. *Sales locations & employees MUST be directly employed by the same company and not franchisees or independent contractors otherwise they will be considered separate and setup/monthly maintenance fees apply - in this case license revenue is shared 50/50 with dealer. While we offer our dealer programme to entities worldwide, currently services are only available on US networks. We are working on services both native to several countries as well as global SIM options. We will email a pre-filled form authorizing us to debit this account via ACH for license fees & activations - all you need to do is print, sign & return the form to us. If you are from outside of the US, please upload a photo containing necessary information for White Label SIM to initiate a debit from your account. 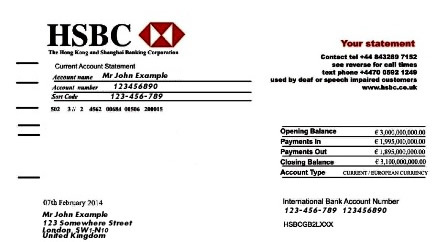 Alternatively, please upload an image containing your address with the header of your bank (but no financial information), such as the header from the first page of your bank statement (example). This file will be encrypted upon upload. Allowed file types: gif jpg jpeg png pdf doc docx odt gz rar zip. Current Passport, Driver's license, State ID or other photo ID. The name on the ID should correspond with the name on the bank/debit information. This file will be encrypted upon upload. Submission of this form indicates that you are ready to become a Dealer and will automatically cause a Master Service Agreement AND an Invoice applicable setup fees to be generated using information provided in this form. If you are merely seeking information about our services or pricing, please request information instead.